The islands of Molokai and Lanai form the picturesque backdrop to your dream getaway at this unique Maui vacation rental. During your stay at this idyllic beachfront resort you can relax by the pool and witness the sun set into the great Pacific as the sky blazes orange and pink. You can even watch the whales frolic offshore during the winter months. 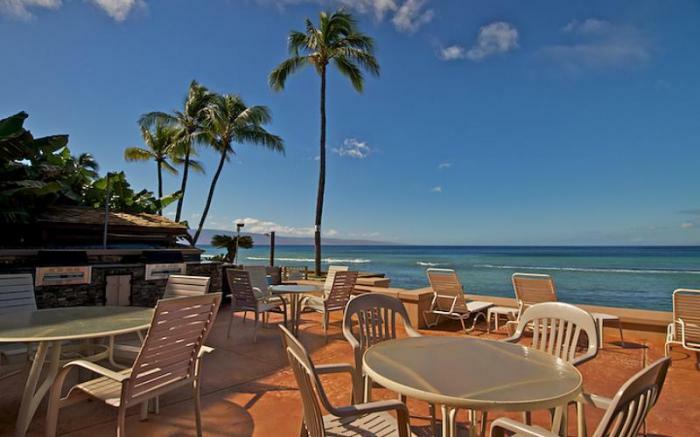 World-class snorkeling with sea turtles and tropical fish is literally steps from your door and its convenient location makes the award winning restaurants, golf courses and shops of The Kapalua Resort and Whaler's Village Kaanapali only minutes away. Come experience the delight of paradise with the charming Hawaiian feel of these one-of-a-kind Maui condos that the whole family will love.